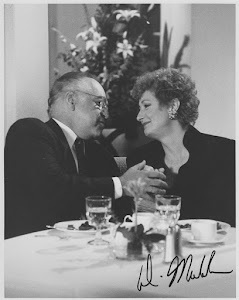 Diana Muldaur and Richard Dysart in L.A. Law. 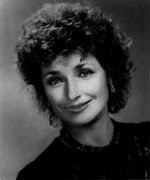 Where has Diana Muldaur been all our lives? 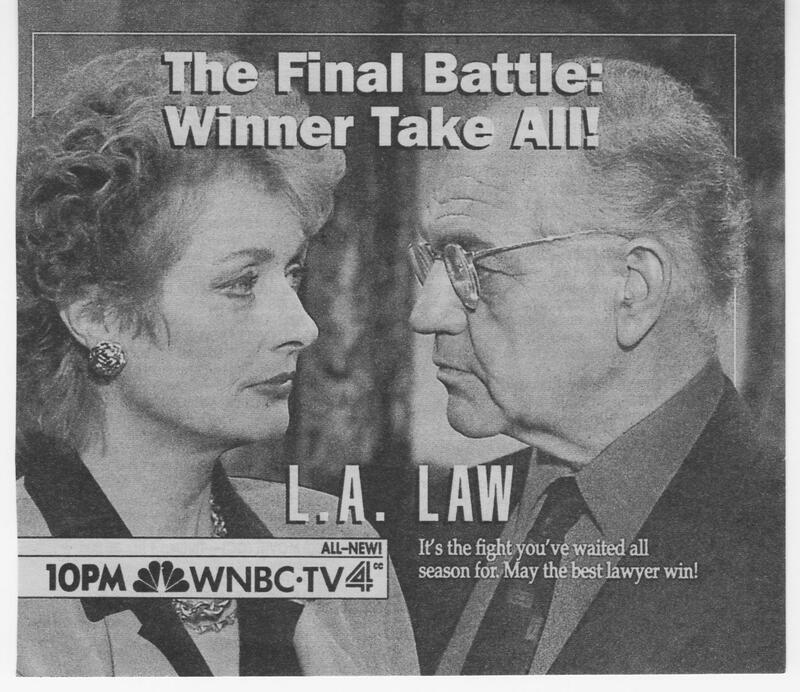 Right there, on the tee-vee, in one series after another, many of them forgettable, a couple of them hits, but never registering quite so strongly as she has this season as Rosalind Shays, the loved and hated legal eagle on NBC's hit drama L.A. Law. "Some people really don't want to say hello to me when they see me on the street", says Muldaur. "Others say 'Go, Roz! Terrific! Give it to them in the office, and anywhere else!' And I get congratulations. Which I've never gotten before for a part - congratulations! It's mostly lawyers, 'cause they all watch it apparantly. Every single one." 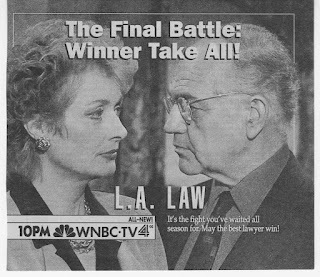 More than lawyers are watching though, and savoring or deploring, or both, the treacherous machinations of the indomitable Roz, a hard-boiled corporate "rainmaker" brought into the firm of McKenzie/Brackman to bolster its finances - much as Muldaur was brought into the cast of L.A. Law to get some dramatic fireworks going. And did she. "At the end of year three, the firm was a nice close family where everyone trusted each other", says David E. Kelley, who took over as executive producer this season. "With Roz, the chemistry changed. The controversy and discontent have generated a lot of heat." An ad in next week's TV Guide promoting the May 3rd episode promises "The Final Battle: Winner take all!" over a photo of Muldaur nose-to-nose with Dysart. And yet Kelley says the big showdown will occur in the second-to-last episode of the season, airing May 10. A spokesman for 20th Century Fox explains: The big battle is so big it will stretch out over two shows. Many viewers probably assume that Leland McKenzie will be retuned to the throne when the dust settles. "And we more or less assume it here as well", says Kelley, not wanting to give much away. Roz is much talked about and bickered about among the show's fans. Roz is despicable and yet delectable, full of intriguing complexities - a sneaky rat one moment, a brave defender of the faith the next. "I was told that at Harward Law School, they hiss when she comes on", says Muldaur. "They all watch it in a big hall and go ssssssss when Roz comes onto the screen." And how does she feel about Roz? "I don't think she's a terrible person. I think she's a person I wouldn't want to spend any time with, but I'm fascinated by her. When I get a script, I'm horrified each time. I say 'Oh my God! How am I ever going to do that?' And it can take me two days to really work on it, and then I go out and do it. I mean - have poor McKenzie put on his hearing aid! Just one thing after another. I say 'Oh my God!' I'm horrified at first. Just horrified. I'm a very sensitive person, basically." Muldaur has almost nothing bad to say about anybody. Except maybe about Star Trek: The Next Generation, a syndicated series that has had beaucoup production problems. "It wasn't what I expected. I thought it would be wonderfully imaginative and exciting in that way which everybody else thought it would be, but they were having a bad year, and writers were coming in the front door and out the back door and, sadly, jumping out of windows, and it just didn't happen." She didn't have to test for the part of Roz. "No, I went in and met the guys and we had a terrific talk and I went to the mountains and they called me and said 'Come back and try some clothes on, we want to get going on this'." Whoever Roz is and whatever she represents, she's been great for the show. She's made a terrific series even more terrific. The question is, will she be back next year? "If you find out, let me know. They have to make up their minds", says Muldaur, who's been kept in the dark about her fate and Roz's. Muldaur's crazy about the job. "I love it", she says, with a beaming, beatific, very un-Rozzy smile. "I mean, that's one reason I did it. I get very excited when I see good writing and good acting, and I don't see it that often. So it's just a joy. And they're a joy, the others in the cast. They're wonderful. I think it's because they all love to act and none of them plays The Star. Absolutely not one." 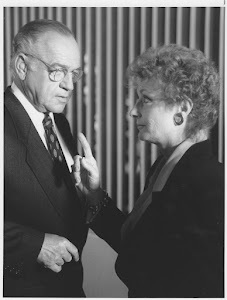 Told that some viewers could be hurt if Roz doesn't come back, Muldaur says, "I think Roz would be hurt too. Ha ha ha. I think Roz would be very hurt."